It's been three months since my last list and I can honestly say everything has been a blur since then because November was filled with some huge disappointments while December was solely devoted to one show. So before February hits and we see more K-dramas that have been slated to air for spring, now's a good time as any to share what I've been watching. I'll admit to not committing much time or energy into K-dramas lately, opting for digestible web series and discovering some new finds along the way. Despite that however, there have been a few dramas I've stayed true to or made it through halfway or a little more than that, so not entirely disagreeable but some of them just didn't appeal to me till the end. 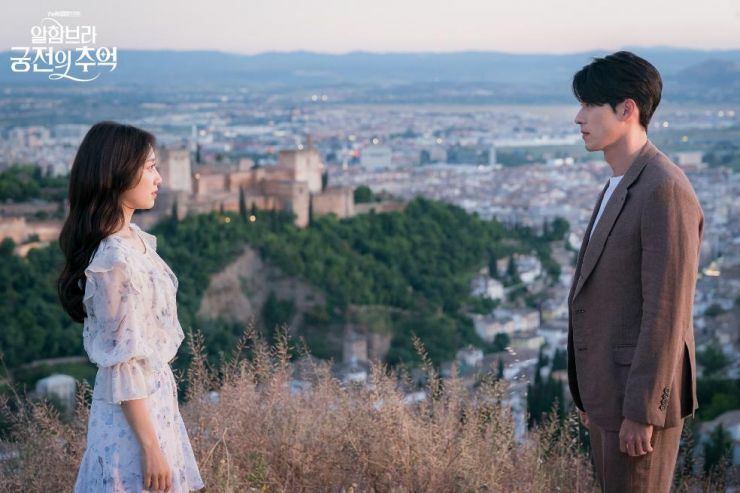 And for someone who's out here complaining, I haven't even begun to watch Sky Castle which is the most coveted and raved about series at the moment, so it's obvious that I need to let go of my bitter feelings from the past few months and maybe listen to the masses? This is the one drama I devoted the month of December to, and what a show it was! Hands down, one of Hyun-Bin's most complex characters with the actor nailing every single scene. AR (Augmented Reality) was introduced to Korean drama audiences through this series so the actor had little to draw on other than blockbuster hits which are centred on virtual reality but he went above and beyond, sending audiences on a rollercoaster of a ride. I enjoyed every episode until the finale because the ending was extremely bitter and almost distasteful, so you've been warned. This is one drama Writer who's notorious for depicting half-hearted and open-ended finales! Other than the lack of closure with its finale, I wasn't expecting to be swayed by the chemistry between Hyun-Bin and Park Shin-Hye but the actors impressed with the few scenes they had to convey a relationship full of depth, and I can only pray they'll sign on to do another project together! What started off as an interesting premiere with the tables being turned, in an opposite Cinderella tale became very foreseeable, cliché, and slow. I had hopes for this drama and was genuinely under the impression that I would grow to like this but it became very bland after the halfway mark. Most of the magic contained in this drama was depicted through the forbidden romance that our leads divulged in during their time spent in Cuba but this magic just didn't seem to transport itself to Korea where the remaining story unfolded. The characters also grew a bit stale and no amount of philosophical quotes or novel references about love and life could rectify the drama's content for being lacking. I struggled with this drama so much that I confess to fast forwarding the ending just to be done with it! I wouldn't recommend this unless you're a die-hard fan of either A-list actor or thoroughly enjoy melodramas that take things real slow. You know you're in deep when a series has you binging and forgetting an entire day was spent glued to a laptop screen! 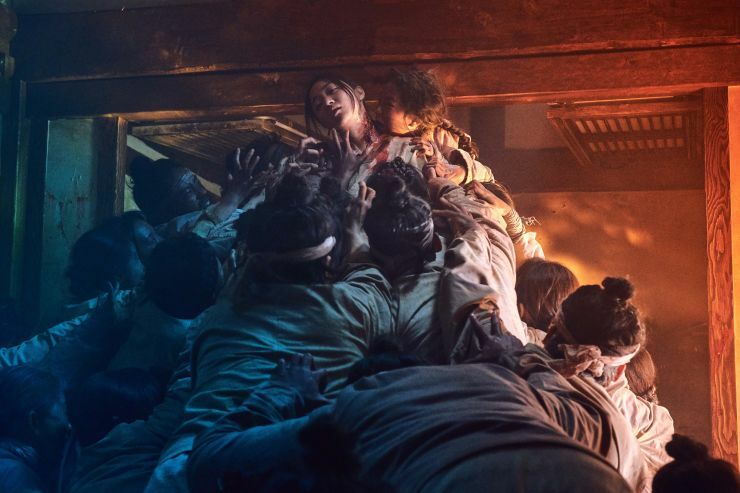 Zombies have never been portrayed in K-dramas so this would be the first ever Korean drama series founded on a zombie apocalypse and zombie-horror as a subsect of the horror genre. The fusion drama blends so many drama components so well, with a fluidity and attention to detail that you can't help but be immersed into it. I have to praise all aspects of the show and it was entirely satisfying, worth the long wait and every minute spent watching this. Now all that's left, is to wait for season 2! I'm calling it! This is the year sageuks make a grand comeback! I've withheld from continuing the series until half the drama is completed at the very least, since the suspense has been killing me slowly from six episodes alone! Yoo Jin-Goo is masterful and a true acting genius with his portrayal of completely polarizing individuals and his performance alone is worth the watch. He has nothing but high, high praises! Moreover, the drama has a great steady progression, with it's plot building up quite nicely. It's simply an enjoyable watch with a tragic and twisted romance forming a storm of emotions within me! And that's it folks! Feel free to share what you've been watching or if you're also in the need of some web series recommendations to bide your time as you wait for something to come along, then don't hesitate to ask! Yep, i totally addicted with kingdom and the crowned clown! All aspect from both drama are superb that i can't wait for kingdom season 2 and every episode from TCC. For encounter, i gave up the drama after 4 episode and i'm a huuuge fan of PBG. It's too slow with shalow story i think, well everyone have their own preference tho. Yes, love The Crowned Clown...I'd about given up on sageuks! My other crack is the comedy, Spring Turns to Spring. Hilarious! Which web series and other new finds, have you found? Some of the less known dramas are often little gems! Sky Castle is good and quite timeless, theres no rush for that one. Nightmare Teacher was quite good despite the low production and Wednesday 3:30 was an adorable romance web series. I would recommend either of those <3 The latter is definitely more of a guilty pleasure series with loads of fluff.